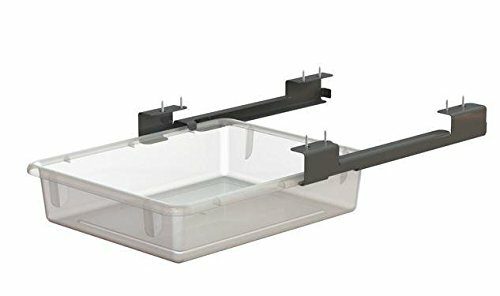 Includes clear paper-tray and set of powder-coated steel rails that can be attached to bottom of the table to create a small storage area. Perfect for holding papers, pencils, folders and more. Integrated stop prevents trays from accidentally being pulled out or pushed in too far. Made in United States. Minimal assembly required. 11.5 in. W x 13.5 in. D x 4 in. H (2 lbs.). Warranty. Care Instructions. Give each student their own personal drawer.